Hello. What have we here? For a while now I’ve wanted to take a look at the different Landos from Kenner’s Star Wars line much like I did with the Leias. 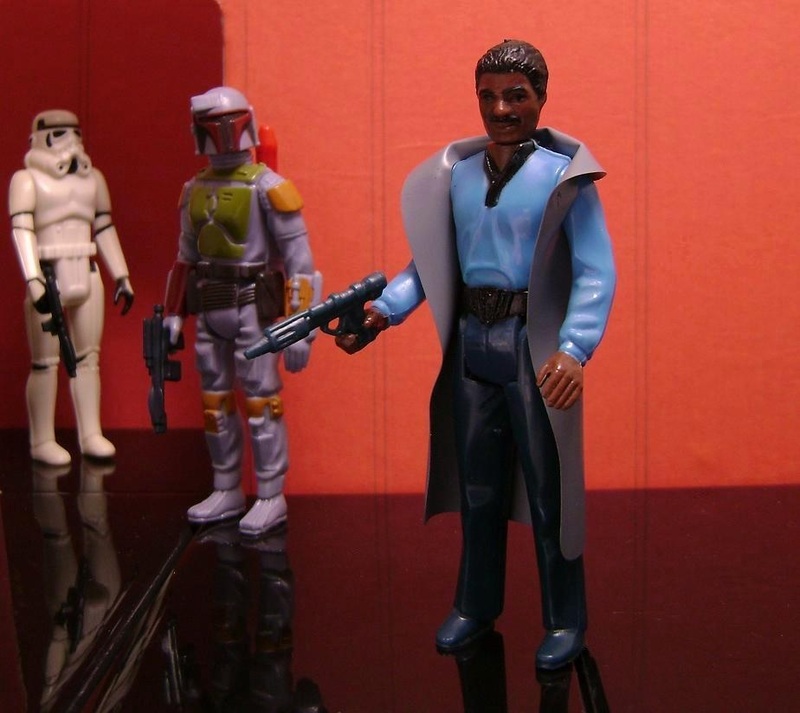 Even with few costume changes there were still three versions of Lando in the vintage run. Colt .45 not included. The original the way most people remember him as the Baron Administrator of Cloud City all decked out in monochrome blue on blue. If Solo was going to have best bro you can sure bet he’d be a smooth-talking cat with a thirst for malt liquor dressed like a sci-fi version of Superfly. The figure nails the look seamlessly right down to the shirt collar and snazzy belt. 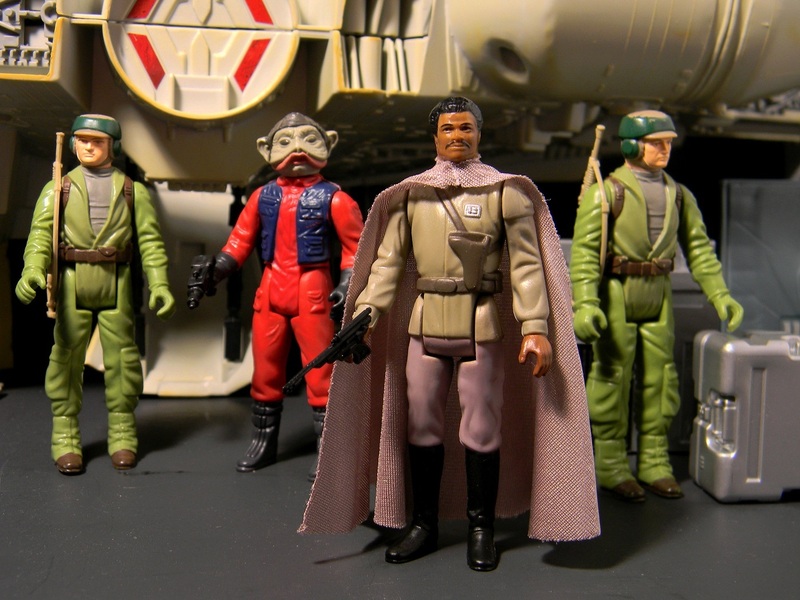 He also sports the last of the vinyl capes in the Star Wars line as Kenner soft goods. 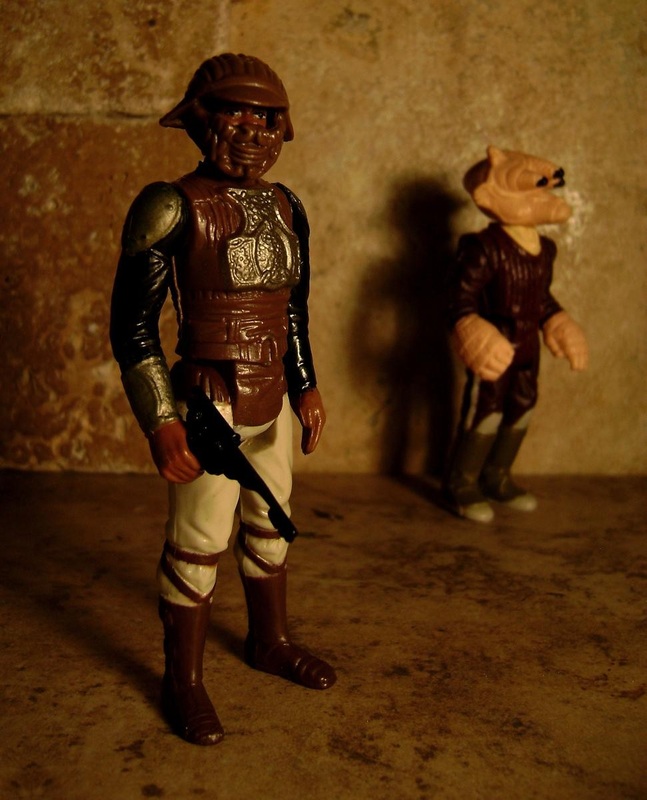 When I was a kid I didn’t have many Star Wars figures, but this version of Lando was one of them I did have. I’ve always loved the “sneaking around in enemy uniforms” cliche ever since The Wizard Of Oz , and the fact that this figure had a removable helmet really pushed him over the edge for me. 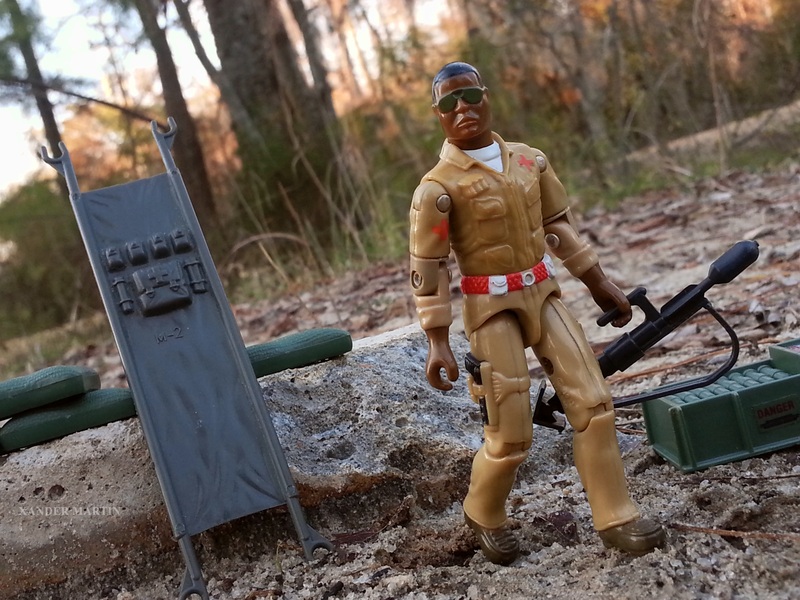 Additionally this one is a prime example of of how far Kenner had come in terms of sculpting. The intricate details really speak for themselves. A general, huh? Somewhere pre-Jedi Lando gets promoted as does Han Solo. The Rebelion is gearing up for their last-ditch effort in defeating the Empire so they may as well promote everybody,right? His look is similar to the duds other members of the Rebe high command are wearing save for one distinguishing feature: a CAPE. That’s right. 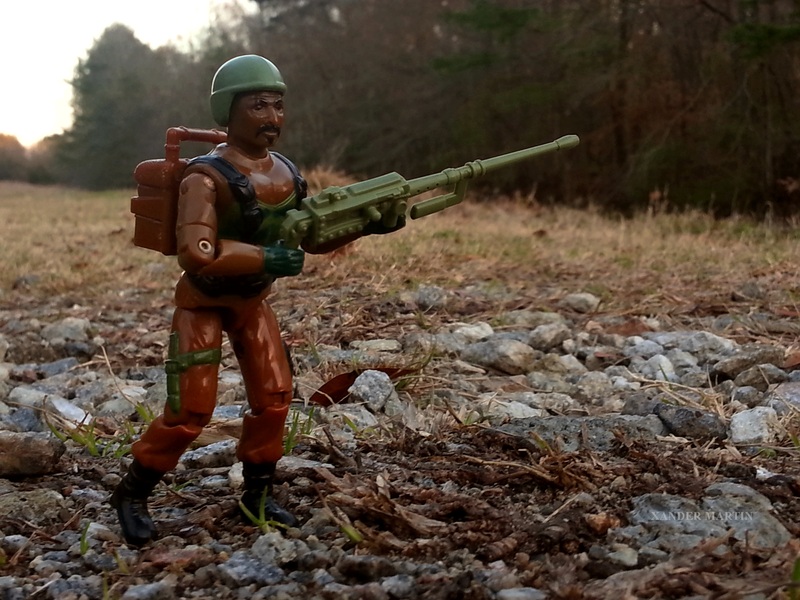 Lando’s still keeping it real with a touch of soulfull flair, and the resulting toy doesn’t disappoint. Happy 100th Birthday, Bill Finger. Batman had two creators. 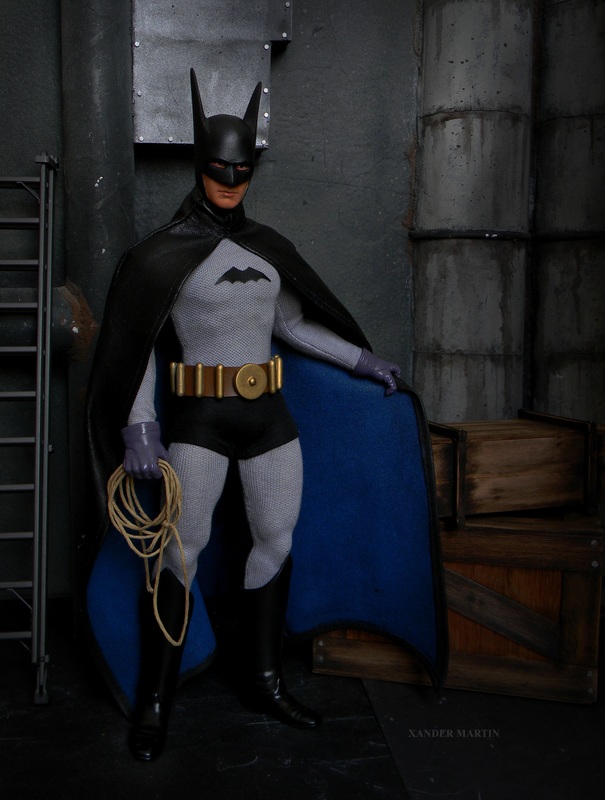 Bob Kane had the idea for a masked vigilante in bright blood red with big Bat-wings. Bill Finger had the vision to make him unique looking with the addition of a horned cowl, and a scalloped cape that when spread open would resemble said wings. Among Finger’s other contributions were the Batman being more of a detective and forensic scientist than your average pulp-era vigilante, as well as coming up with the character’s secret identity: Bruce Wayne. Finger passed away in 1974, and unfortunately his contributions still go uncredited to this day as Kane’s contract with DC (read Warner Bros.) gave him exclusive creator rights to the character. But I, like countless others, wouldn’t have the character I love if not for a prolific visionary in a dusty New York flat c. 1938 who created a man that would become a Bat. Thank you, Bill. 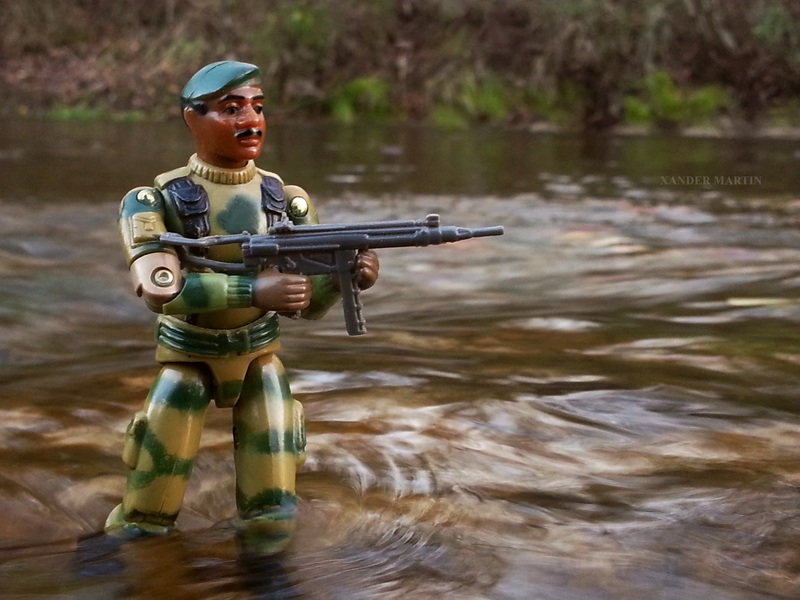 One of the original 13 GI Joes from 1982, and my personal favorite of that bunch. According to the comics Stalker served in the Vietnam War in the same Long Range Recon Patrol (LRRP) unit as Snake Eyes and Storm Shadow. Doc was the Joe team’s original medic three years before Lifeline would essentially update the character or at least his concept. In the cartoon Doc is most likely remembered for saving Duke’s life after he’s impaled by one of Serpentor’s snake spears. However in the comics he would go on to make the ultimate sacrifice when he was gunned down by SAW Viper. That’s right, kids. In my day Road Block was black. There’s something to be said about a man so built that he can lug around a .50 caliber machine gun. Incidentally when he’s not mowing down snakes the ‘Block is also the Joe’s cook.